ERIE, Pa., Dec. 16, 2014 (GLOBE NEWSWIRE) — From public health challenges like Ebola to the effect of climate change on food safety in the coming decades, international experts in public health, higher education, business and traditional intelligence will gather in Dungarvan, Ireland, for the fourth biennial Global Intelligence Forum — The Dungarvan Conference July 12-15, 2015. Sponsored by the Tom Ridge School of Intelligence Studies and Information Science at Mercyhurst University in Erie, Pennsylvania, the conference comes on the heels of highly successful summits that welcomed prominent intelligence leaders like Pennsylvania Gov. Tom Ridge, the first U.S. Secretary of Homeland Security; former CIA Director Michael V. Hayden; former FBI Director Louis J. Freeh; and Europol Director Rob Wainwright. Panelists for this year’s expanded forum — “Intelligence-Informed Decision-Making to Build a More Secure Future” — will address how leaders can effectively establish intelligence practices to enhance decision-making as they address pressing global concerns. This entry was posted in Cybersecurity, Intelligence, US and tagged Airsickness bag, Candy Crowley, Central Intelligence Agency, CNN, George W. Bush, Hillary Clinton, Interrogation, Jeb Bush, Presidency of George W. Bush, United States. “The hero of Khorasan Zaid Saleh al-Hourani, known to everyone as Abu Musab al-Hourani”, the beginning of a short biography of a Jordanian Jihadist fighter killed in Afghanistan reads. 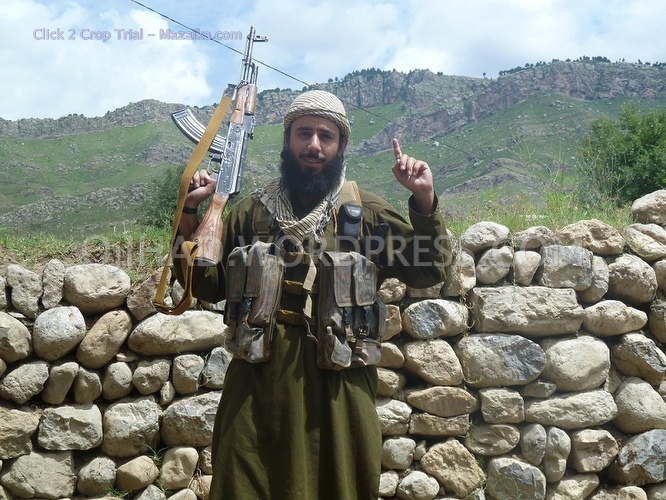 The article about Al-Hourani was posted on Jihadist Internet forums recently and gives a rare insight into the situation of foreign fighters in Afghanistan these days. “Abu Musab al-Hourani”, a resident of Amman, from a Jericho family, allegedly was a close aid to former Iraqi Al-Qaida leader Abu Musab az-Zarqawi and recruited about 30 other Jordanians to Jihad in Iraq. In Jordan al-Hourani was imprisoned for 5 years because of his terrorist activities. This entry was posted in Afghanistan, Al Qaeda, Military, Pakistan, Terrorism, War & Conflicts, World News and tagged Afghanistan, Al-Qaida, alqaeda, Amman, Central Intelligence Agency, Orakzai, Pakistan, Pakistani. Reza Kahlili, living in the shadows with a fake name and disguise, worked from inside the Revolutionary Guard. He warns of terrorist sleeper cells in the U.S. and a plot to destroy Israel. 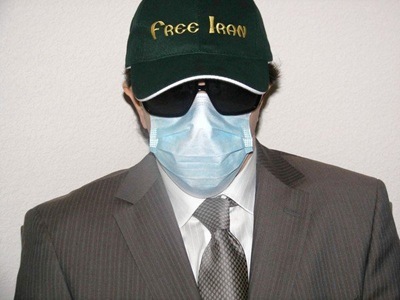 July 6, 2012, 6:33 p.m.
ARLINGTON, Va. — His disguise consists of a blue surgeon’s mask, sunglasses and a baseball cap that reads “Free Iran.” A small modulator distorts his voice. He uses a pseudonym, Reza Kahlili. He lives in fear, he says, because his years as a paid spy for the CIA inside Iran have made him an assassination target of Iran’s government. He worries about his wife and children, who live with him in California. At the same time, implausibly, he has become one of the most influential and outspoken voices in the U.S. advocating the overthrow of the Iranian government. For the last two years, Kahlili has gone semipublic with a memoir, a blog, op-ed pieces and invitation-only speeches at think tanks. He warns that Iran operates terrorist sleeper cells inside the United States and is determined to build nuclear weapons to destroy Israel. The U.S. should respond, he argues, by supporting the opposition inside Iran. He travels furtively between appearances, working as a Pentagon consultant and as a member of a domestic security task force. This entry was posted in Counter-Terrorism, Crime, Intelligence, Iran, Security, Terrorism and tagged Army of the Guardians of the Islamic Revolution, Central Intelligence Agency, CIA, Iran, Kahlili, Peter T. King, Reza Kahlili, United States. BRENDAN TREMBATH:An United States intelligence and security expert says it’s unlikely the US was involved in this week’s assassination of an Iranian nuclear scientist. Iran has blamed both the US and Israel. Iranian news reports say Mostafa Ahmadi Roshan was killed on his way to work in Tehran. A motorcyclist attached a bomb to his car. Dr Joseph Fitsanakis is an Iran watcher, and coordinator of the Security and Intelligence Studies programme at King College in Tennessee. He’s told Suzanne Hill that the assassination is probably the work of Israel’s spy service. JOSEPH FITSANAKIS: The assassination fits the character of the Mossad, going back all the way to 1960s with Operation Damocles when the Israelis actually went so far as assassinating German scientists working with Egypt in Egypt’s nuclear program. Some people mention that there are other agencies that have similar operational character like the Russians, for instance, the Russian secret services but the Russians are allies of Iran. The Chinese have been mentioned as well but, again, even though they’re pretty capable, they don’t have that type of operational character. SUZANNE HILL: When we talk about operational character, are you referring only to Mossad’s predisposition to assassinate as we assume they have or are you referring to other things to do with the assassination itself in which we can see hallmarks of Mossad? JOSEPH FITSANAKIS: I think both. In particular, assassination operations are very, very risky. 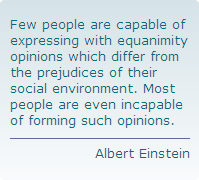 They’re very complex, involve a large number of individuals, they’re very carefully planned. This entry was posted in Intelligence, Iran, Middle East, Nuclear, Politics, War & Conflicts, World News and tagged Central Intelligence Agency, Intelligence assessment, Iran, Israel, King College, Mossad, Operation Damocles, United States. 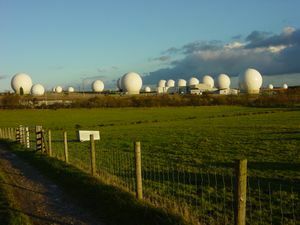 Turkey’s National Intelligence Organization (MİT) is setting up an Electronic Intelligence Village on a 3,000 square meter plot of land, which will allow for the tracking of all forms of intelligence signals. MİT Undersecretary Hakan Fidan explains that within the next two to three years, they aim to become one of the largest intelligence services in the world and that they are synthesizing the CIA-FBI model. Yesterday, the “Meeting with the Press” portion of a series of ceremonies held to commemorate to 85th anniversary of the National Intelligence Organization, or MİTs founding, was held at the undersecretariat headquarters. INTELLIGENCE VILLAGE: “The General Staff Electronic Systems Command has been handed over to the MİT. A 3,000 square meter plot of land was purchased next to the Electronic Systems Command (GES) facility. This entry was posted in Intelligence, Islam, Middle East, Technology, Terrorism, World News and tagged Ankara, Central Intelligence Agency, Fidan, Kurdistan Workers' Party, National Intelligence Organization, Terrorism, Turkey, Uludere, United States, Unmanned aerial vehicle. Tehran, Jan 8, IRNA – Intelligence Minister Hojjatoleslam Heydar Moslehi announced the arrest of several spies who, in line with the plots of the US government, wanted to disrupt the upcoming Ninth Majlis (Parliament) elections slated for March 2. Hojjatoleslam Moslehi made the remarks among reporters at the end of a cabinet meeting in Tehran on Sunday.’Our intelligence apparatus had complete information about the activities of the arrested spies,’ he added. The minister pointed out that the detained spies were trying to execute the plots of the US Central Intelligence Agency (CIA) through social networks and cyberspace to disrupt the process of the upcoming Ninth Majlis (Parliament) elections. This entry was posted in Intelligence, Iran, Islam, Middle East, Reports, Security, Terrorism, US, War & Conflicts, World News and tagged Arrest, Central Intelligence Agency, Espionage, Federal government of the United States, Iran, Islamic Republic News Agency, Tehran, United States. In public Sunday, President Obama was at a summit unsuccessfully leaning on Russia and China to back diplomatic efforts to curb Iran’s nuke program. In private Sunday, there was more evidence of an efficient and brutal covert operation that continues to degrade Iran’s military capabilities. Iranian officials revealed that one of the 17 men killed in a huge explosion at a munitions depot was a key Revolutionary Guard commander who headed Iran’s missile program. And the IRNA state news agency reported that scientists had discovered a new computer virus in their systems, a more sophisticated version of the Stuxnet worm deployed last year to foul up Iran’s centrifuges. Iran said the army base explosion was an accident and the new Duqu virus was contained. But Israeli newspapers and some U.S. experts said it appeared to be more from an ongoing secret operation by the CIA and Israel’s Mossad to eliminate Iran’s nuclear threat. The covert campaign encompasses a series of assassinations of Iranian nuclear scientists since 2007 and a similar explosion at another Iranian missile base two years ago both widely attributed to the Mossad. “May there be more like it,” was all Israeli Defense Minister Ehud Barak said when Army Radio asked about the new blast. There was a third mysterious event: The son of a top Iranian hard-liner was found dead — a seeming suicide — in a Dubai hotel on Sunday. His father called it “suspicious” and linked to the base explosion, without elaborating. This entry was posted in Asia, Intelligence, Politics, Reports, Terrorism, World News and tagged Air Force of the Army of the Guardians of the Islamic Revolution, Barack Obama, Central Intelligence Agency, Dmitry Medvedev, Iran, Israel, Newt Gingrich.